The first full novel of a five-part story. The Imperial Combine is humanity's greatest achievement. 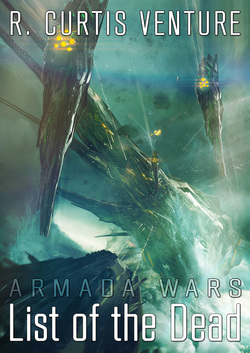 A vast empire controlling thousands of planetary systems, it has stood for centuries in the face of all adversity. But something is stirring in the Deep Shadows which separate the bright spiral arms of the galaxy; something utterly unknown to the many worlds of mankind, and utterly hostile. The second full novel of a five-part story. While the conflict between humanity and the Viskr Junta picks up pace, Elm Caden now believes that an unknown, hostile power is directing events. But his investigation will cost him dearly. List of the Dead follows on directly from the end of Steal from the Devil, continuing the same story and accelerating to a dramatic cliffhanger ending that is guaranteed to have fans clawing to find hidden pages. The third full novel of a five-part story. The flood-gates have opened. No longer hiding in the shadows, the Shaeld Hratha are moving openly on the many worlds of the Imperial Combine. 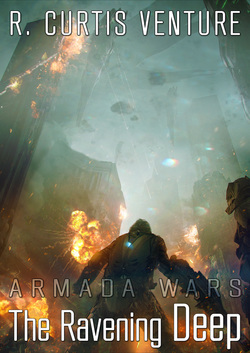 Still reeling from the invasion of a key star system, and the shattering events which took place alongside it, Elm Caden must act quickly to learn as much as he can about this powerful enemy. And out there, waiting in the darkness, is Voice. The fourth full novel of a five-part story. 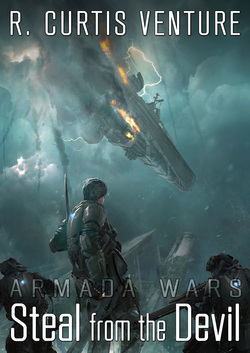 Following the successful invasion of Riishi by the Shaeld Hratha, Elm Caden and his associates return to the Orion arm to find that Voice is beating the Imperial Navy into submission. Driven on by his encounters with Voice, and the knowledge he has gained from them, Caden sets out to damage the great enemy's plans in any way he can. But with the Navy falling back already, and a shroud of mystery still hiding Voice's master plan, he must call in as much help as he can... before it is too late. The apocalyptic conclusion to The Great War of the Shaeld, expected soon.